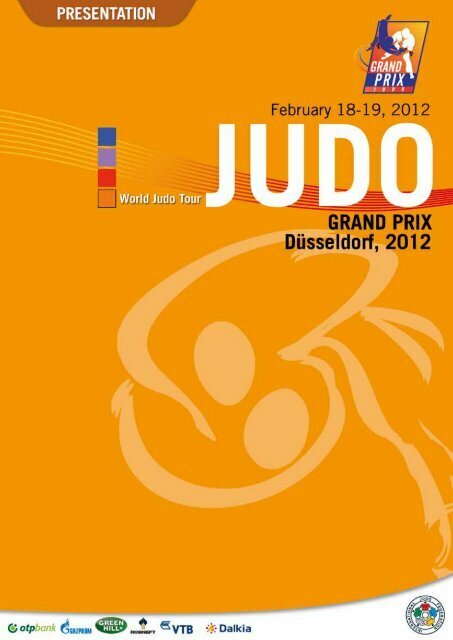 JUDO GRAND PRIX, Düsseldorf 2012 The IJF online registration must be done at https://www.judobase.org until January 28th 2012, 23:59 CET The entry by number, the hotel reservation and travel information must be done with the online registration system from the German Judo Federation. For the address and your login code kindly send an eMail to: grandprix@judobund.de Please note that nations missing the IJF registration deadline will not be allowed to start. All competitors, coaches and officials must be entered in time.  After the deadline no additional persons can be added. No exceptions will be made. Already registered coaches or officials can be replaced if they are entered in the IJF database; competitors only in the case of an injury. For any support please contact registration@ijf.org before end of deadline. 8. CONTROL OF ENTRIES AND ACCREDITATION The control of entries and issuing of accreditation cards will take place at the NIKKO Hotel on Thursday, 16th February from 12:00 AM to 21:00 PM on Friday, 17th February from 09:00 AM to 11:59 AM At least one team official must attend in time to confirm the entries of all athletes and officials with his/her signature. A delayed appearance or no-show at control of entries may result in the exclusion of all participants from the draw and the event. In case of unforeseen delay of arrival the Federation must contact immediately the organizer and the IJF registration team (registration@ijf.org) An accreditation card with photograph will be issued to competitors, officials and media. This accreditation card should be carried at all times. Passports or photocopy of passports from all competitors must be available on request. Number of accreditations for officials: a) 1 – 4 competitors : 4 officials b) 5 – 9 competitors : 6 officials c) More than 10 competitors : 7 officials Extra accreditation for delegation members 100 Euro for 2 days. 9. COMPETITION RULES a. Competition will be conducted in accordance with the latest IJF SOR, IJF Refereeing Rules and IJF Anti-Doping Rules. Especially refer to the New IJF Tournament System regarding (K.O system without repechage, the semi-finalist losers are bronze medals, the quarter-finalist losers are 5th places). b. Weight categories: Men: -60kg, -66kg, -73kg, -81kg, -90kg, -100kg, +100kg Women: -48kg, -52kg, -57kg, -63kg, -70kg, -78kg, +78kg c. Duration of contest: MEN & WOMEN: Five (5) minutes (real time). The “Golden score” shall be three (3) minutes (real time). 10. REFEREES Referees are appointed by IJF Refereeing Commission. February 18-19, 2012 13. PROGRAM Date Time Activity Place Thursday February 16th Friday February 17th Saturday February 18th Sunday February 19th Monday February 20th 11. WEIGH-IN a. The weigh-in will be carried out in accordance with the IJF SOR, Article 16. b. The Weigh-in will be conducted on the same day as the respective weight category is being contested. Unofficial weigh-in: 06:30-07:00 Official weigh-in: 07:00-07:30 (important : minimum 2 h between the end of weight in and the start of competition) c. Weigh-in will be held in NIKKO Hotel 12. DRAW a. The draw will be conducted at 2:00pm on 17th February, 2012 at NIKKO Hotel, Room Newton. b. Each National Federation must send a delegate to attend the Draw, a maximum of three (3) delegates per National Federation (2 officials and 1 athletes’ delegate) will be authorized. c. The top 16 among the entered competitors in each weight category will be seeded according to the World Ranking List. 12:00am-9:00pm 9:00am-11:59am Control of Nationality / entry of the athletes /fee-payment Control of Nationality / entry of the athletes /fee-payment Nikko Hotel Nikko Hotel 2:00pm Draw Nikko Hotel (Room Newton) Referee meeting just after the Draw Nikko Hotel Women: -48kg, -52kg, -57kg, -63 kg Men: -60kg, -66kg, -73 kg 06:30-07:00 Unofficial weigh-in Nikko Hotel 07:00-07:30 Official weigh-in Nikko Hotel 9:30am Start of the competition- Preliminary Mitsubishi Electric Final Block 5:00pm Halle (Semifinals on 2 mats; Finals on 1 mat) Women: -70kg, -78kg, +78 kg Men: 81kg, -90kg, -100kg, +100kg 06:30-07:00 Unofficial weigh-in Nikko Hotel 07:00-07:30 Official weigh-in Nikko Hotel 9:30am 5:00pm Delegation`s departure Information: Awarding ceremony after each Finals + Antidoping control. Start of the competition- Preliminary Final Block (Semifinals on 2 mats; Finals on 1 mat) Mitsubishi Electric Halle Remark: At least one team official must attend the accreditation at February 16th between 12:00am and 9:00pm or February 17th between 9:00 am and 11:59 am in order to confirm the delegation. Without this confirmation in time a nation will not be put into draw and not be allowed to start.